Windows 10 updates lead to consumer woes. New research from Which? has revealed that half of Windows 10 users have experienced computer problems and issues almost three years after Microsoft launched the latest version of its Windows operating system. The consumer association has challenged the US computer giant to help those who have been left frustrated and out of pocket due to Windows 10 updates. While software updates are vital for consumer devices to function properly, Which? believes that consumers are often left picking up the pieces after a botched update makes their devices unusable. The consumer association criticised Microsoft back in 2016 after 1,000 members got in touch with complaints regarding Windows 10 updates. Now almost two years later, Which? has found that consumers are still struggling with Windows 10. New research from the consumer association found that users are still experiencing problems ranging from minor quirks to complete PC failure resulting in costly repairs. A new survey of over 1,100 Which? members found that software compatibility issues such as programmes not working properly or at all affected 21 per cent of participants while hardware problems such as printers and speakers no longer working affected 16 per cent. Of those surveyed, some suffered PC slowdown and in some cases, members reported complete PC failure. Of those that experienced PC failure, 46 per cent said they paid someone to fix their system at an average cost of £67 for the repairs. Which? 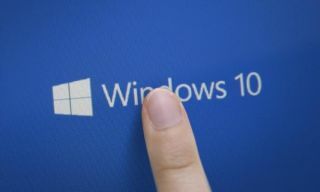 is calling for Microsoft to honour the consumer rights of user and to pay compensation to those who experienced loss as a result of Windows 10. The consumer association also believes that the company needs to be more clear regarding the possible downsides of updates as well as their benefits. Users should have a choice as to whether or not they will accept updates and critical security updates should be separated from less vital updates to help ensure that consumer devices are always protected. Microsoft did respond to Which? 's complaints and the company is exploring ways in which the two organisations can work together to solve user problems with Windows 10.